South Africa is well-known for its wildlife, great weather and is now a surprisingly affordable travel destination. It offers truly diverse experiences from natural beauty to World-class facilities and Afro-chic. Here is our list of the top 5 things to do and see whether you are travelling, taking a holiday or combining sight-seeing with volunteering in South Africa. From penguins running around the beaches in Cape Town to fantastic safaris in the National Parks, South Africa will not disapoint if you are an animal lover. 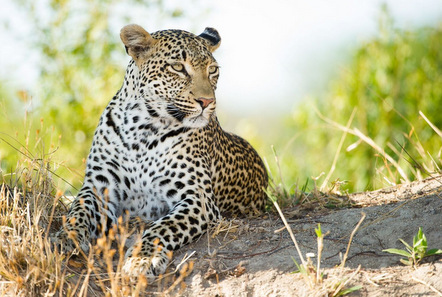 The famous Kruger National Park is home to the Big Five game animals and has more species of large mammals than any other African Game Reserve (at 147 species). 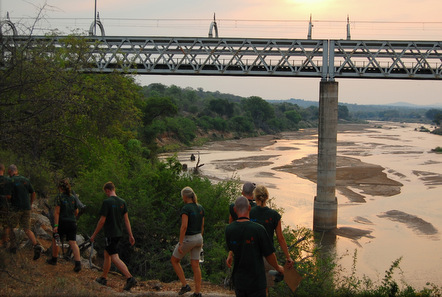 Pod volunteers can experience this at our Kruger conservation and leopard monitoring project. Or if you would like to be up close with the majestic African Elephants then our Elephant Care and Research project is for you! South Africa is home to one of the biggest bungee jumps in the world - at 216 meters it’s not for the faint hearted! For adrenaline junkies there is also river rafting, surfing, wakeboarding, abseiling, caving and sailing to name just a few. New natural wonder of the world! If you are in South Africa a visit to Table Mountain is an absolute must. At 1086m above sea level and famous for its flat top, the mountain has magnificent views over Cape Town. It is also the only natural site to have a constellation of stars named after it (Mensa)! With humpback, southern right whales, Bryde's whales, orcas and dolphins in the South Atlantic and Indian Oceans, South Africa is one of the best places in the world to go whale watching. You can often see dolphins and whales while riding the horses on the local beach at our Horse Rehabilitation project or explore the ocean underwater at our Marine Conservation project. For nearly 400 years Robben Island was a place of imprisonment and isolation, today however it is a World Heritage site and a place that symbolises victory over Apartheid and other human rights abuses. Nelson Mandela is one of the most famous prisoners kept on this island. Although quite sombre, visiting the island and the museum is very educational and gives you a glimpse into what life was like for these political prisoners. If you would like to visit South Africa to volunteer please see our South African placements page.